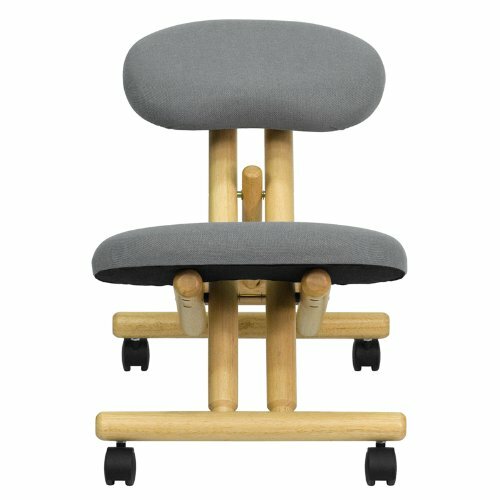 The ergonomic kneeling chair is a trend setting option for people who want to support their body's natural posture.It's designed to strengthen your lower back muscles and help with spinal alignment. The firm supportive padded seat and knee rests are filled with 2 inches of CA117 fire retardant foam and covered with breathable fabric. 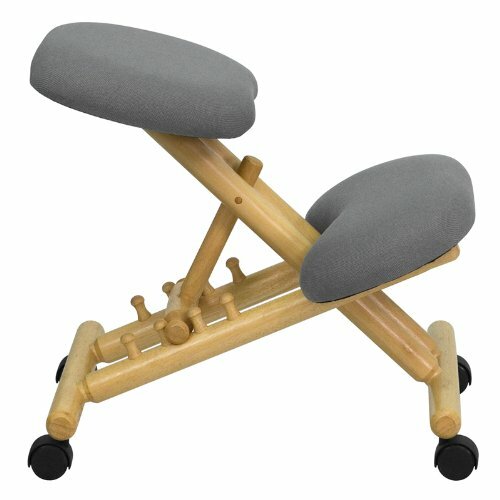 The height adjustable frame has a natural wood finish. 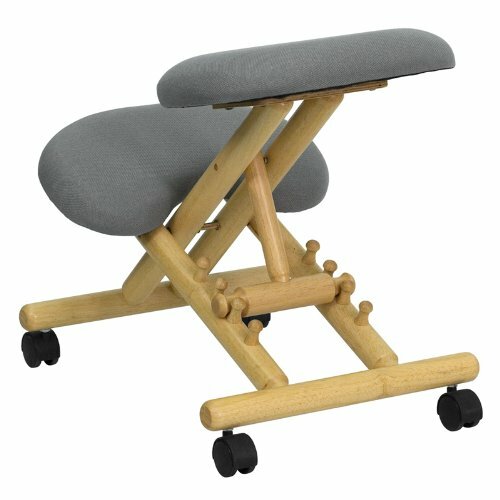 Dual wheel casters make it easy to roll across the floor.This innovative chair helps to improve your posture, relieve back pain and give you more productive hours in the day.